Editor’s note: I strongly believe content curation is a tactic that can help any blogger or business elevate their brand to the top. 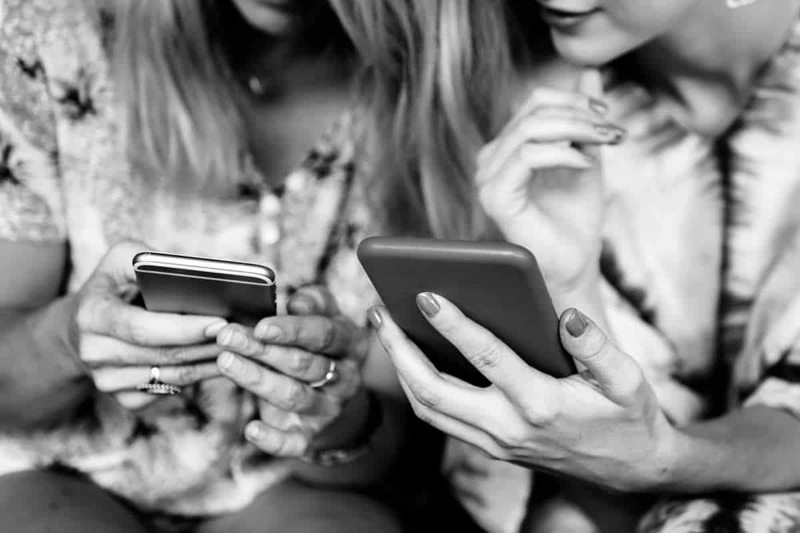 There’s a lot of confusion and false knowledge surrounding content curation, which is why not everybody is using content curation as part of their overall strategy. Therefore, we must debunk the most common content curation myths to help you understand how this marketing tactic work and leverage it to the advantage of your business. However, instead of me explaining this for you, I’ve enlisted the help of Kayleigh Alexander of MicroStartups. 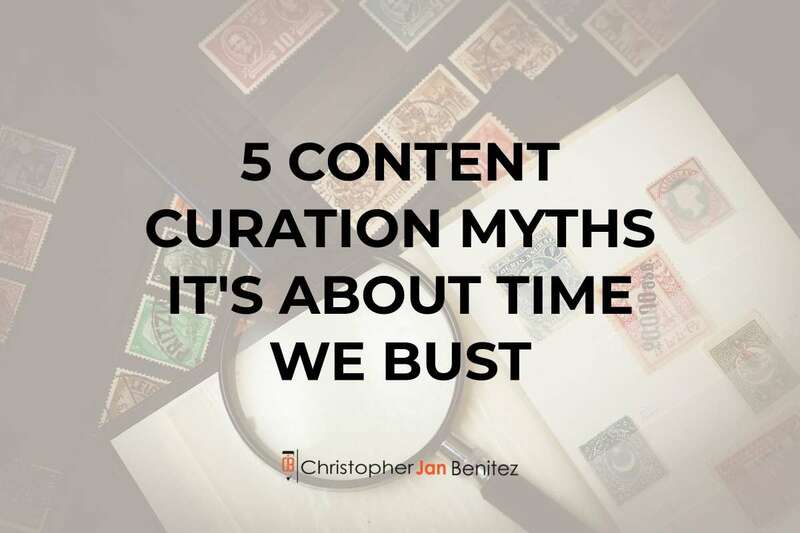 Read this post as she sheds lights on the misconceptions about content curation so you can implement this tactic to your business the right way! Content curation is a topic that many marketers don’t seem to understand fully— but it can be enormously effective when it’s done right. One problem with curation is that there are so many misunderstandings surrounding what it is and how it can benefit your business. So let’s jump into five of the most common myths to bust them for good. Let’s start with the most common mistake made by potential content curators. Content curation is DIFFICULT. At least, not when you do it properly. And it’s not as easy as many marketers think it will be when they first get started. There is this idea that content curation somehow involves nothing more than setting up an RSS feed and sharing the best links with your audience. Not so. This is no more than content aggregation, and there’s a big difference between the two. Content curation is all about adding value. While it might involve an element of automation to pull in content from various sources (Feedly, Scoop.it, etc), curation has to go further than sharing links. To provide genuine value, include your own take on the story. Add your opinion, explain why you agree or disagree with the content, and highlight the most important points to take from it. You also have to pick the content that adds value in the first place, and this takes time. It involves reading (or watching) the content yourself and forming your own viewpoint — something that cannot be automated. And don’t make the mistake of relying on the same sources for all your content. While you will have a few favorite sources, always be on the lookout for new sources to keep your curated content fresh. Let’s clear one thing up about content curation: it’s not stealing. People get confused because of all the spammers who copy content and paste it into their own sites with no reference to the original creators. But this is not curation. People want their content shared. Just think — sharing a blog post on social media is content curation, and everyone wants that. The important thing is to give credit to the creator when curating their content — usually in the form of a link to the original source and a mention of the author. Don’t republish the whole article. Instead, share the link (or a short intro or paragraph) along with your own opinion. That way, the original creator gets a link, more visibility, and the possibility of more readers, while you get to share your expertise on the topic. If you curate content, you cannot be an influencer, right? The answer is no. Many influencers curate content. They understand that they can’t limitlessly create original content and can add context to their material in the form of additional viewpoints and opinions. In fact, by maintaining a high standard of curated content and providing commentary, you can show your expertise, helping your audience come to see you as a trustworthy authority figure. If you find content that others do not, you’ll show exceptional industry knowledge. You’ll also show your understanding that there are other skilled content creators out there who can offer a lot of value. Also, this is a great way to build relationships with other content creators, making them more likely to share your content. Even if you understand the value of content curation, you might be tempted to restrict what you curate to content that is already popular. The logic here is that the content that already has lots of shares and comments will provide the most interest and drive the most traffic. But while sharing trending content is a good idea, make sure you search further. One problem with popular content is your audience might have already seen it. So while it’s fine to include it in the mix, don’t make it the only content you curate. Find those little-known pieces that no one else is curating. This is also a great way to build relationships with smaller bloggers who might turn into bigger bloggers. Constantly be on the lookout for new content and new sources. Mix it up — share the hot topics, by all means, but don’t stop there. If you’re highly confident in your ability to hunt down gems, create a destination page or regular downloadable collection to feature selected pieces (with permission from the creators). You don’t even need design skills, as you could always use an ebook creator to collate the chosen copy into a convenient format. Make your curated selections popular enough and you’ll attract content creators looking for new platforms. Content curation, valuable as it is, is not the same as content creation. If you only do one of these, make it content creation. Curation is a great addition to your content marketing strategy. And even though it can take a long time to find the best content and add your own value, it is still quicker than creating content from scratch. But it does not take the place of creating your own. You also need to create high-quality content that provides value. This is important for improving your visibility in search and enhancing your reputation as an expert. The best content creators use content curation as inspiration. As you curate content, find out which topics resonate most with your audience and look for gaps in the content you could fill in, then use that information to inspire your own content creation. If you have thought about content curation in the past but have not been convinced, it might be time to give it another shot. Curation provides a genuinely useful addition to your content marketing toolbox, and the opportunity is there if you get it right. Use content curation to show your expertise, boost your reputation, and build relationships with other content creators. And always keep that one word in mind: Value. Ensure you are adding value every time you curate a piece of content, and you won’t go too far wrong. Kayleigh Alexandra is a writer for Micro Startups — a site dedicated to helping startups and small businesses of all shapes and sizes. Visit the blog for the latest marketing insights from top experts and inspiring entrepreneurial stories from around the world. Follow us on Twitter @getmicrostarted.